Short for Social Finance, Inc., SoFi is best known for providing student loan refinances. SoFi was founded in 2011, as an online peer-to-peer (P2P) lending platform. In fact, they have grown to be one of the most innovative P2P platforms in the industry. They also offer personal loans, and of late, even mortgages. 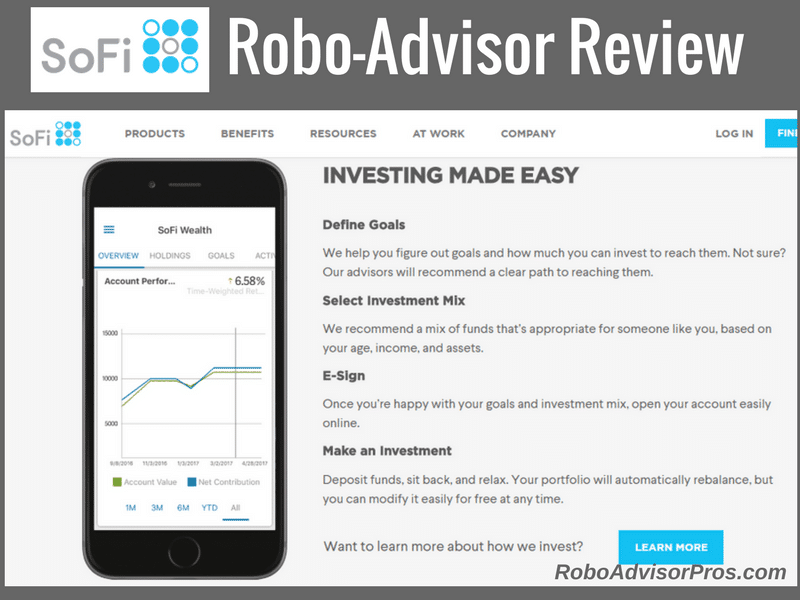 This SoFi Wealth robo-advisor review dives into the features, pros and cons of this latest digital investment manager. The platform has grown to more than 300,000 members and funded more than $20 billion in loans. In May 2016, SoFi became the first startup online lender to receive an AAA rating from Moody’s. In May of this year, SoFi announced the roll-out of SoFi Wealth Management, it’s robo-advisor division. For $500, you can open up an account with SoFi Wealth Management. And better still, the first $10,000 invested will be managed for free! After that, SoFi offers one of the most competitive management fee structures in the industry. 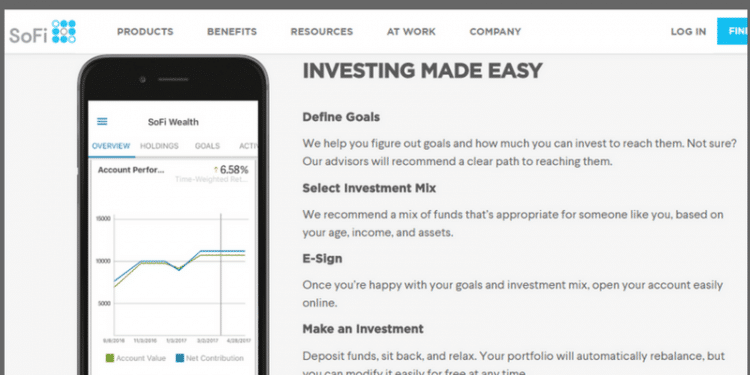 What Differentiates SoFi Wealth Management Robo-Advisor from Competitors? The first $10,000 in your account is managed for free. This is a perfect arrangement for new and small investors who are looking for professional investment management but don’t want their investment returns reduced by fees. For account balances greater than $10,000, the fee is just 0.25%. 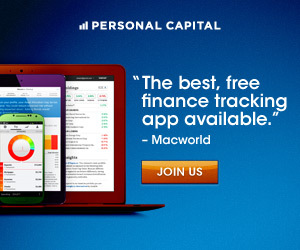 This matches popular independent robo-advisors, such as Betterment and Wealthfront. In addition, SoFi Wealth Management has no trading, transfer, custodian or commission fees. But even better, if you are an existing SoFi loan customer, SoFi Wealth Management waives the investment management fee entirely. Though SoFi Wealth Management is a robo-advisor, they nonetheless offer live advisors to handle your questions and concerns. This is a welcome feature, given that many robo-advisors limit live customer contact in an attempt to keep investment management fees as low as possible. Even though you’re turning your money over to the platform to get the benefit of professional investment management, it often helps to have a live person to talk to about your portfolio. This can be particularly important during times of market turbulence and decline. Market drops are perfectly normal events, but sometimes it helps to have someone available to remind you just that. One of the advantages to investing with the SoFi robo-advisor that you will have access to SoFi’s various loan programs. SoFi is fast becoming one of the most popular options to refinance student loans. But apart from these, the company also offers personal loans and mortgages. If you don’t have any student loans to refinance, the personal loan program can be particularly attractive. SoFi offers personal loans for up to $100,000, with rates ranging between 5.49% and 14.24%. This is at the very low end of the interest rate range for P2P lenders, who often charge as much as 36%. In addition, while other P2P lenders typically charge between 1% and 6% for a loan origination fee, SoFi has no loan origination fee required. SoFi personal loans are unsecured and can be used for just about any purpose. They may not be what you’re thinking about when you’re looking for an investment management service, but they are an excellent option to have nonetheless. Perhaps best of all, if you do take a SoFi loan, SoFi Wealth Management will automatically waive all investment management fees. You will have access to current market conditions, and how they impact your portfolio, provided by Dr. Michael Dooley, SoFi Wealth Management’s Chief Economist. He’ll provide commentary on what happened in the markets the previous week, macro trends in the economy, the impact of those trends on the capital markets, and what it all means for your portfolio. 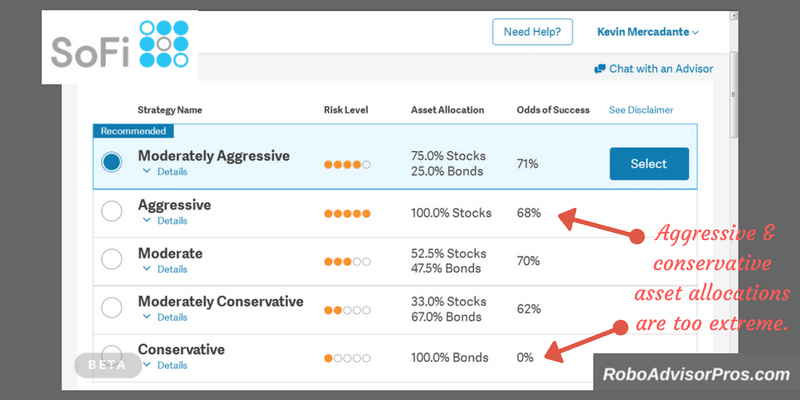 While robo-advisors typically restrict investment allocation to just two broad categories – stocks and investment grade bonds – SoFi Wealth adds a few other asset classes that are not typically on the menu with other investment services. These include real estate and high-yield bonds. The real estate position can be significant because it represents a diversification away from stocks and bonds. Real estate also represents a potential inflation hedge. Meanwhile, high-yield bonds offer the opportunity to improve fixed income investment returns, in this very low interest rate environment. But high yield bonds also pose a higher risk than investment grade. SoFi Wealth Management does not offer tax loss harvesting at this time. This can be a major negative for some investors, particularly since it is now offered by an increasing number of SoFi’s robo-advisor competitors such as Personal Capital and Wise Banyan. Who Benefits from the SoFi Robo-Advisor? SoFi Wealth Management can work for anyone who is looking for professional investment management at very low fees. The annual fee of 0.25% is a fraction of what traditional investment advisers charge. More specifically, the service seems particularly well-suited for new and small investors. This is not only because of the low fee, but also because of the low minimum initial deposit, and the fact that the first $10,000 is managed for free. The SoFi Wealth Management is a no-brainer robo-advisor for anyone with a SoFi loan. Since loan holders don’t pay an annual investment management. That’s just too good to pass up. Though your account is held with SoFi Wealth Management, the actual broker for the account is SoFi Securities, LLC, while the account custodian is Apex Clearing. Both are members of the Securities Investor Protection Corporation (SIPC), which protects your account from broker failure for up to $500,000 in cash and securities, including up to $250,000 in cash. Your SoFi Wealth Management account portfolio is based on your risk tolerance. Your portfolio will be comprised of between five and seven different ETF’s and is managed by the platforms portfolio team. There is no ability to purchase investments beyond those that are recommended by the service. That means that you will not be able to include individual stocks, or funds of your own choosing, within your portfolio. In case you’re wondering – and given that SoFi is a well-established P2P lender – SoFi Wealth Management does not invest any part of your portfolio in the loans that are offered by the lending platform. The SoFi robo-advisor in diversified ETF’s. The mix of these funds is proactively managed and will be changed as either world economic conditions change or the outlook of platform management changes. Your portfolio is built from a mix of ETF’s that follow more than 20 indexes, each tracking the performance of different asset classes. Those classes include US stocks, international stocks, high-yield bonds, real estate, short-term treasury bonds, and the stock markets of various countries and regions. Your portfolio is based on a mix of factors, including your age, income, and the amount of investable assets that you have. And like other robo-advisors, SoFi Wealth uses Modern Portfolio Theory or MPT in building your portfolio. MPT emphasizes systematic diversification, rather than chasing “hot stocks”. Your portfolio will be reviewed at least quarterly and will be rebalanced in the event that one asset is more than five percentage points above its intended allocation. Rebalancing is done more frequently in the event that one asset class moves in a major way, or if management decides to change the mix of the funds within your portfolio. Your SoFi Wealth Management account can be accessed by mobile app. You can download their mobile apps for iOS and Android either through the App Store or on Google Play. Once your account has been set up, you will be guided through a process to set up a four digit pin number that is specific to your mobile device. You can even set up a Touch ID/Fingerprint sign in on both Apple and Android devices that have fingerprint scanners. You must also enable Touch ID/Fingerprint on the app. Once you do, any fingerprints stored on the device can be used to access your account. SoFi Wealth Management is available to US citizens and permanent resident aliens. If you are a permanent resident alien, you’ll have to provide passport information as well as a US taxpayer ID containing a physical address to verify your identity. SoFi Wealth Management will also need to confirm your bank information, which is a typical requirement for investment brokerages of all types. In defining your goals, you start by choosing between four categories – retirement, education, home purchase, or custom. In fact, you can create a goal for each. For example, if you want to set a retirement goal, you start by indicating at what age you want to retire, as well as how much money you want to spend each year in retirement. Next, the application asks you how much money you have available right now, as well as how much you plan to save each month. The aggressive portfolio is invested 100% in stocks. Conversely, the conservative portfolio is invested 100% in bonds. Both extremes are too simplistic, and in a market decline, the 100% stock aggressive portfolio lacks bonds to cushion the losses. The conservative all bond portfolio lacks the opportunity for the higher returns of stock market funds. One saving grace, however, is that you can adjust your goals, savings rate and portfolio at any time simply by speaking with a SoFi Wealth Management investment advisor. After selecting your investment strategy, you provide basic information, such as citizenship status, contact information, employment and income information. After that, you sign the agreement and fund your account. The management fee of 0.25% is well below the 1.00 – 1.50% charged by traditional investment managers, and even below that of many other robo-advisors. For example, TD Ameritrade’s Essential Portfolio charges 0.30%, while Fidelity Go charges 0.35%. The first $10,000 in your account is managed for free, similar to Wealthfront. The fee is waived entirely if you are also a SoFi loan customer. SoFi Wealth Management invests in stocks and bonds, the way robo-advisors typically do, but they also offer real estate and high-yield bonds. This is the only robo that we’ve found with access to high-yield bonds. Minimum initial deposit, of just $500 is comparatively low. By contrast, Charles Schwab Intelligent Portfolios has a minimum requirement of $5,000, while Vanguard Personal Advisor Services has a minimum of $50,000. Limited customer contact. There is no customer support on weekends, and after 5:00 PM on weekdays (4:00 on Fridays). You get a break with this if you’re in the Eastern Time zone since Pacific time is three hours behind. But that also means that you won’t be able to reach customer service until 10:00 AM on weekdays. No tax-loss harvesting. This strategy has been shown to provide a substantial improvement in net annual return on investment but is not offered by the service at this time. As noted above, the aggressive portfolio is 100% invested in stocks while the conservative portfolio is 100% invested in bonds. Neither situation represents appropriate diversification. SoFi Wealth Management could be an excellent choice for new and small investors. You can open up an account with as little as $500. And if you don’t have that much money to start, you could always open up an account and begin funding it with an auto-deposit of $100 per month. Also, small investors benefit from the fact that you get the first $10,000 of your account balance managed for free. And as mentioned in this review, the annual management fee is waived entirely if you have a loan with SoFi. Since student loan refinances are SoFi’s specialty, this could be the perfect robo-advisor for recent college graduates, with student loans they want to refinance, and who are looking to begin investing. There may be something of a drawback to the platform as far as large investors are concerned. While the fee is certainly competitive with other robo-advisors, the platform currently does not offer tax loss harvesting. This will be a decided disadvantage for investors with large positions in taxable investments. 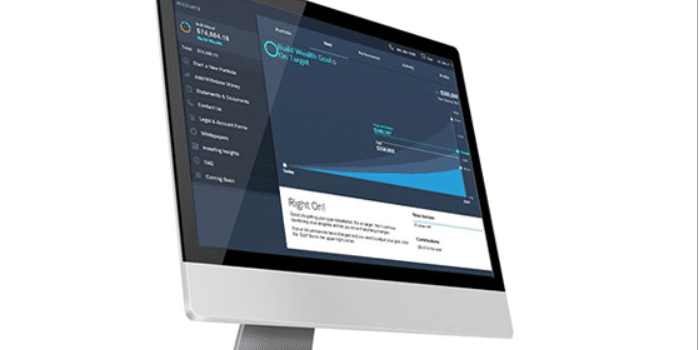 If you’d like to learn more about SoFi Wealth Management, or if you’d like to open up an account, check out SoFi Wealth Management’s website and see if this robo-advisor fits your needs.